Horace Cox was a British publishing company. 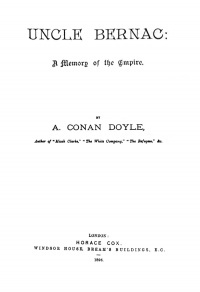 In 1896 and 1897, the company published 1 novel written by Arthur Conan Doyle. This page was last edited on 30 May 2017, at 14:04.